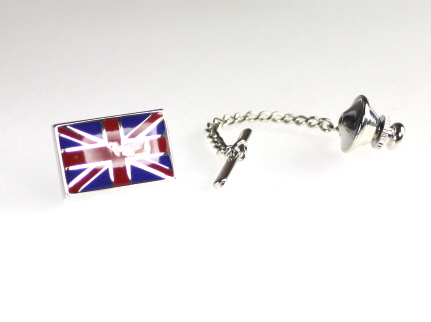 A Union Jack Flag Tie Pin with tie tack fitment. A neat subtle way to wear your Union Jack with pride. Patriotic Union Jack Enamel Cufflinks.